Asus recently, at the launch of Asus Zenfone 5z revealed about the Zenfone Max Pro 6 GB RAM variant availability. At that moment they said that the upcoming variant will be launched in July, 2018 but this caused much contradictory situation among the buyers. However, No confirm date was announced for the sale of the phone but at least they revealed the month when we are going to have it for sales. On 19th of July, 2018 ASUS India (@AsusIndia) confirmed it again that it will be available in few days only. In the Tweet "Just a few more days before the arrival of the fastest mid-range smartphone with 6GB RAM and 16MP front and rear cameras! 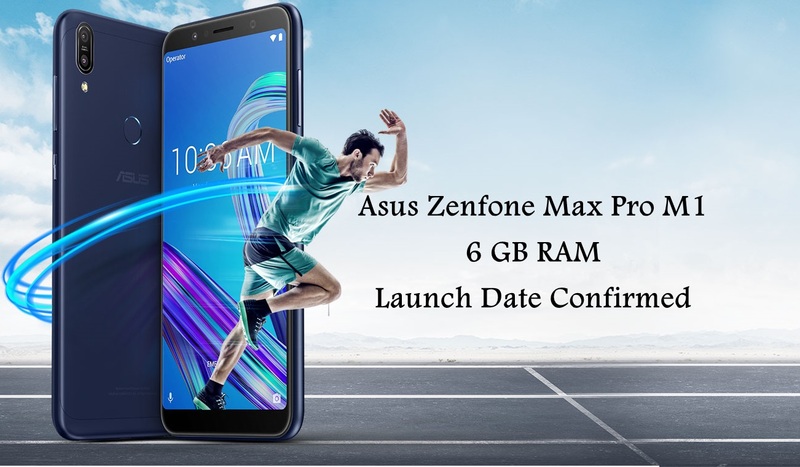 Watch this space on 20th July for the big announcement"
UPDATE: So, finally according to a tweet by ASUS India at 5:50pm (20th July) Asus official confirmed that the phone will go on sale at 12pm on 26th July.